One of my inspirations for The Narrative Leader was the connection I began to see between cognitive science and storytelling. Why do we build our lives around stories? What makes some stories more compelling than others? Why do some stories work better than others? How can people tell such different stories about the same event? Oh, there are many more questions… But the quest for answers kept pointing me back to cognitive science. 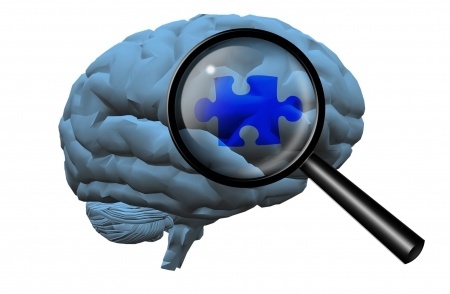 Certainly neuroscience is a hot topic these days, but check out what else is under the hood! And all of these scientific pursuits come together to help us understand how stories work. When I first got interested in cognitive science a friend asked me what was so compelling about the topic (because, to be honest, much of the research written on the subject is about as exciting as a Saltine cracker). And I said to my friend, “Dude, it’s the keys to the kingdom!” Which is what people have been saying about storytelling for eons. So I’ve made it my mission with The Narrative Leader to use stories to make cognitive science clear and compelling to the average person, and to leverage this wisdom to make our leaders stronger and more effective. Interesting… Our EVP has been telling himself a story about his whole team struggling with the transition when really it’s just two people out of a team of ten who are having a tough time. And what does this have to do with cognitive science? Well, he’s drawn a sweeping generality based upon just two examples. This sounds like Availability Heuristic: a shortcut the brain takes which makes us draw broad conclusions from a small number of examples — the ones that most easily come to mind. The EVP doesn’t think about the members of his team who are coping well, because they are not grabbing his attention. He is just thinking about the ones who bring him the most stress. And then he projects that stress onto the entire team. This will cause him to ignore people who can benefit from his attention, and he may even get obsessed with solving a problem that doesn’t need to be solved. Sound familiar? Once he becomes aware that he is doing this he can choose to tell a different story about the merger, and consciously choose what kind of role he will play as events unfold. There is a lot more to be said about Availability Heuristic. I’ll be covering it more in future posts. Nice post. We are all guilty of the availability heuristic at times. Can’t wait to read more!